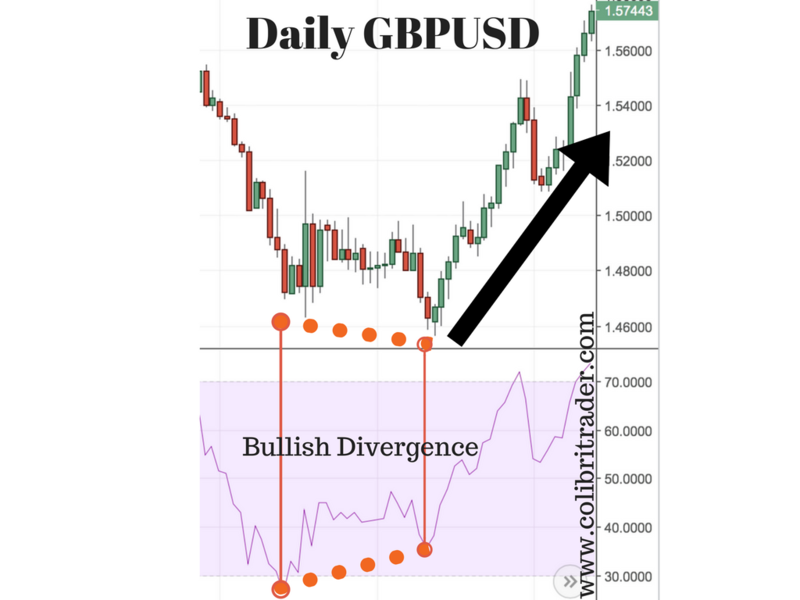 On this chart below, the RSI formed a bullish divergence on the GBP/USD daily chart. 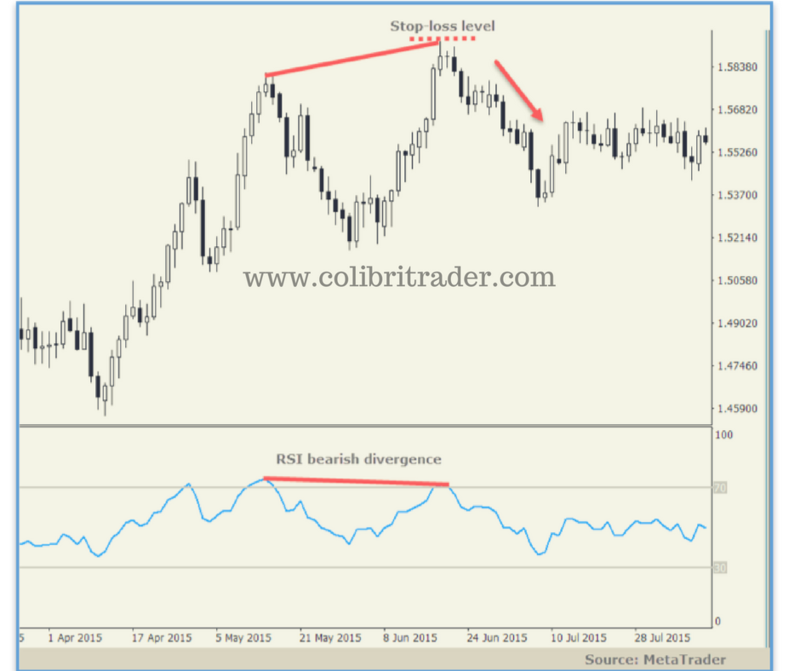 To find a bullish divergence, look for higher lows on the RSI and lower lows on the price chart. 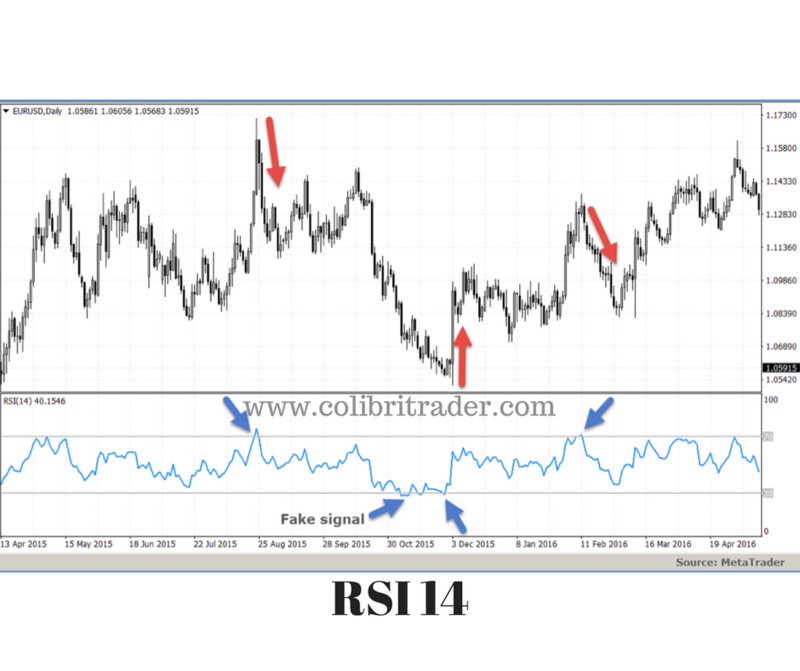 The RSI made a higher low but the price failed to follow the RSI, creating a lower low. In this case, a confirmation for opening a long position should be used, like for example candlestick patterns or confluence with another timeframe. 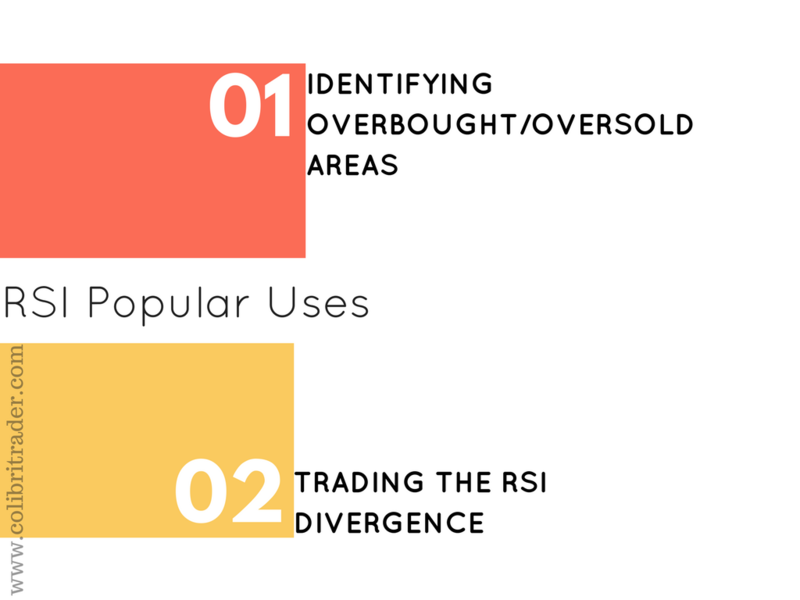 The stop-loss level should be places just below the lower low on the price chart. 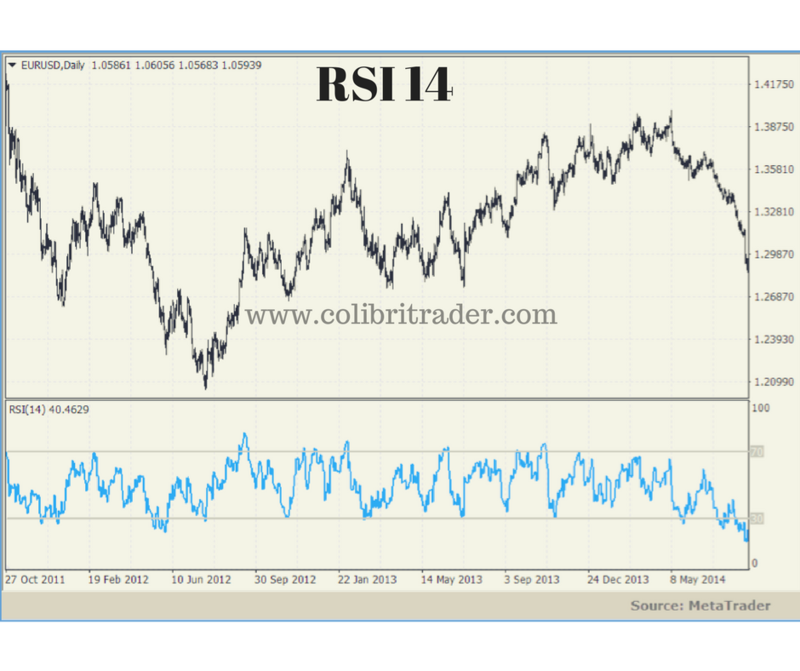 The following chart shows an RSI bearish divergence. 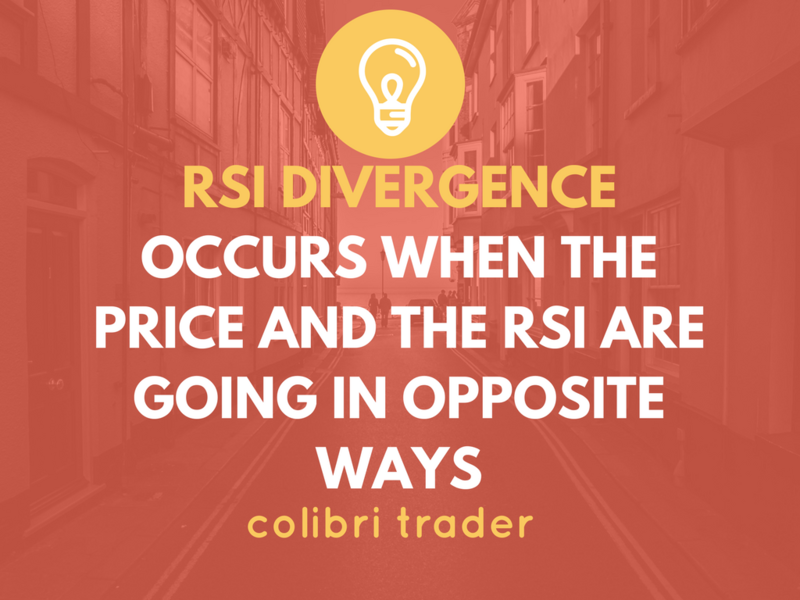 The price made a higher high, compared to the RSI which made a lower high, thus creating a bearish divergence. On simple rule of thumb to identify these divergences exactly, is to imagine a bull and a bear. 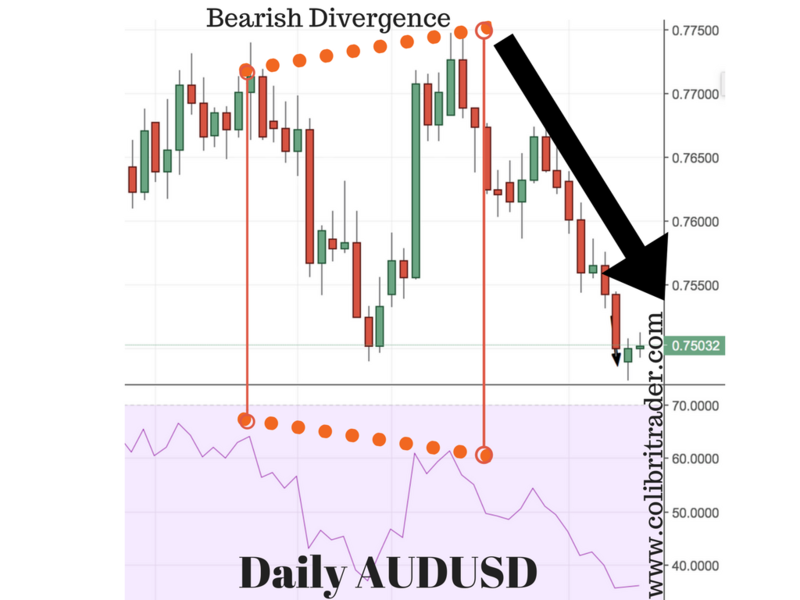 A bearish divergence is connecting two highs on the RSI, one being the higher high and the second being the lower high, and is plotted on the above the RSI (as if a bear moves the RSI lower with its clutches). 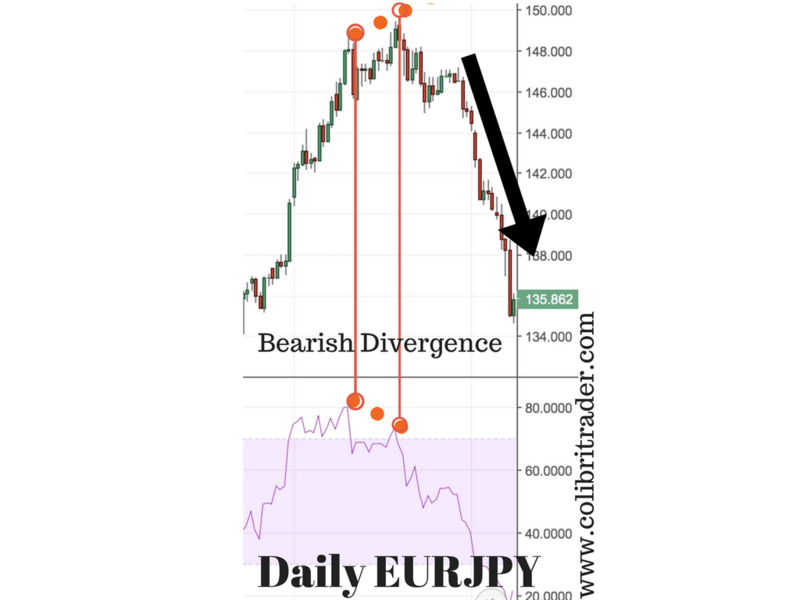 A bullish divergence is plotted below the RSI, connecting a low and the next higher low (as if a bull pulls the RSI higher with its horns). 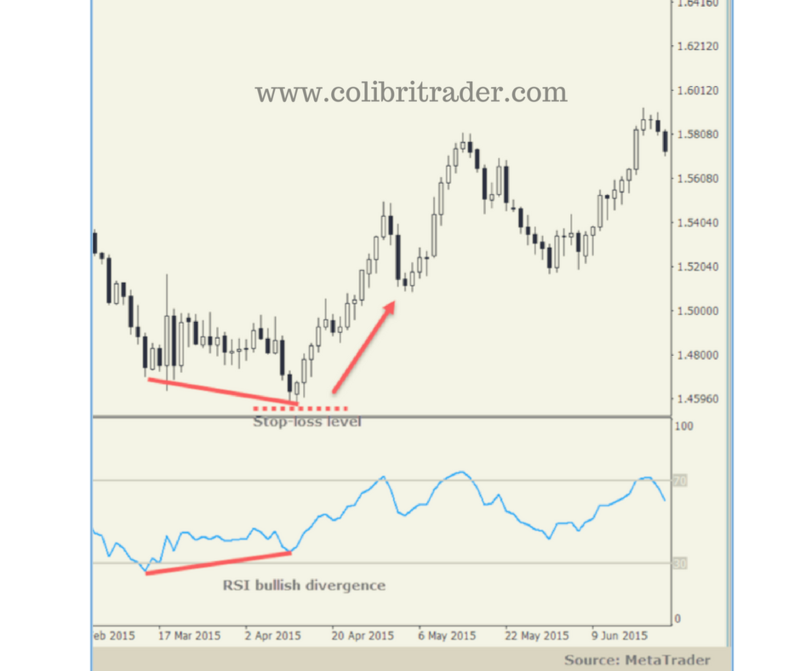 The second example is showing a bullish divergence on the GBPUSD Daily chart. Opposite to Example 1, this example is showing a bullish signal. If you look at the price chart, you will see two little bottoms connected with a dotted red line. The second one is lower than the first one. 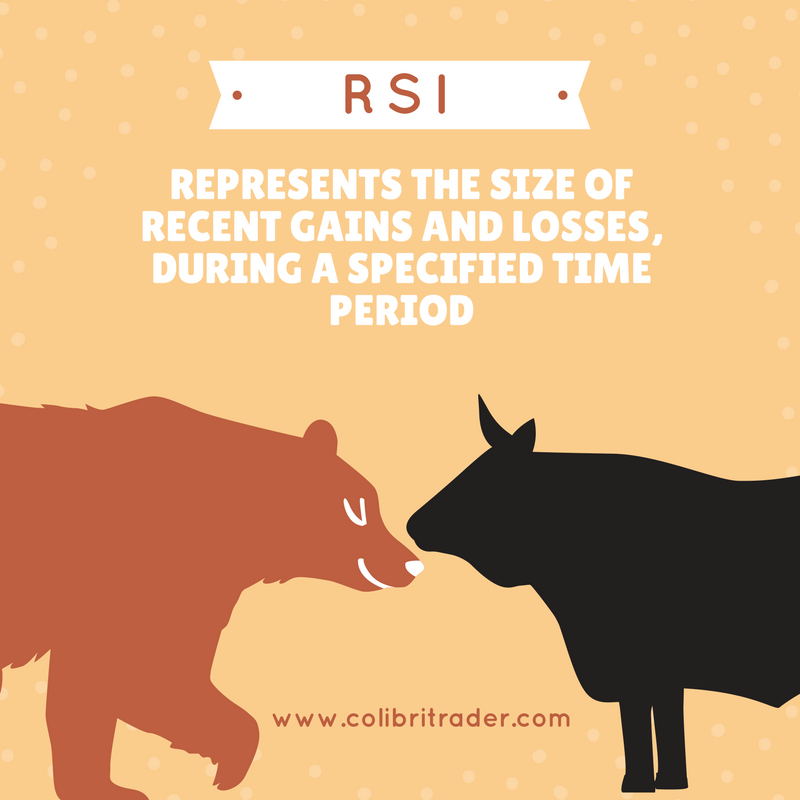 If you look at the RSI indicator below, you will see that the second low that matches the low from the price chart is higher. 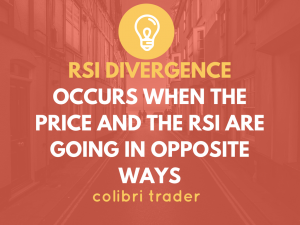 There is a divergence between the price chart and the RSI indicator plotted below the chart. 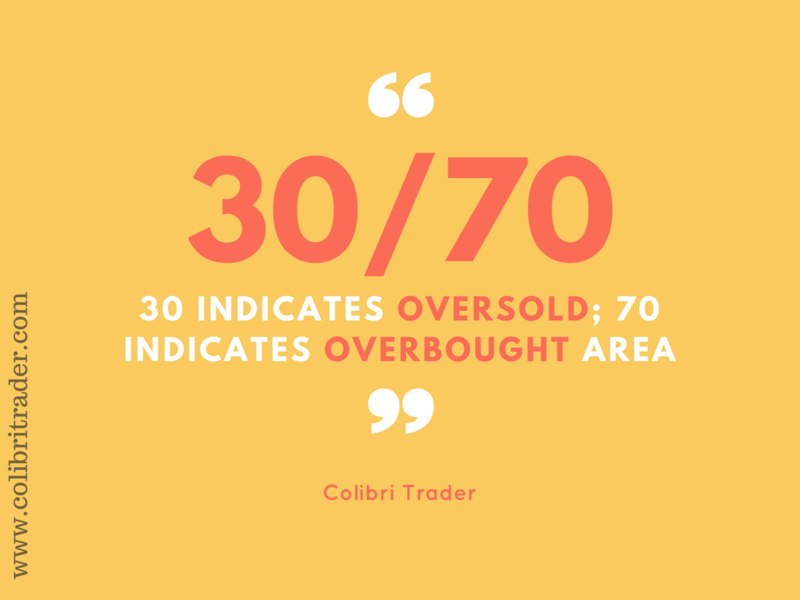 This leads a lot of buyers to conclude a new bull trend has started. 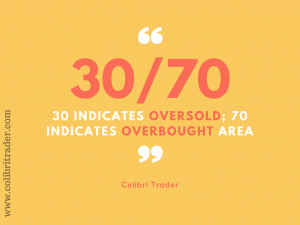 A confirmation from price or another indicator might be used to enter in a long trade.